A letter from our founder. As many small companies start, Petalfox began with a big vision. Our dream is to make the things you love getting every day, more convenient. 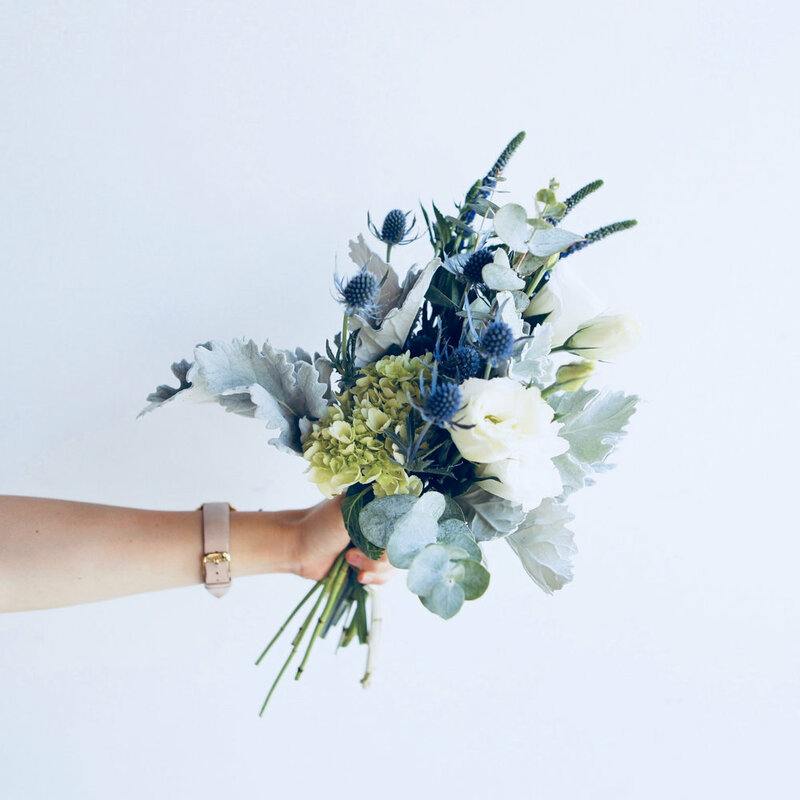 We launched in April 2018 by offering you flowers that are delivered on a regular schedule via a floral subscription. And now we are making it even easier to get and gift flowers every week. It’s ironic that Petalfox began as a subscription company because our personal subscription experiences have been less than stellar in the past. Subscription businesses were originally designed to save time and spark discovery for the customer. However, we’ve observed that this original intention has gotten lost along the way and instead has created post-purchase anxiety when it comes to canceling or managing a subscription plan. We are all busy and time is precious! So when we forget to skip or cancel, this means we end up with an unwanted charge and unwanted stuff. Based on our own experiences, we’ve developed a new way to buy things you love on a regular basis, starting with flowers. Here is what we believe the new Petalfox experience will accomplish. Meet you in a place where you [still] pay attention to notifications and can quickly reply. Start a conversation so you know you can reach out to a person who works at the company at anytime to review your product, experience, get account details, etc. Save you time in the purchase process by eliminating the need to log in, find a password, locate a credit card, manage an order, skip a delivery, etc. Continue to eliminate the guesswork and foster floral discovery by curating new products every week. We curate a new flower arrangement, based on seasonal varieties and trends in fashion & decor, each week. We’ll send you a quick text with a little moodboard of what we’re shipping for the following week. Then it’s up to you! Buy bouquet credits in increments of one to one-hundred and save the more you buy! The first time you checkout, we’ll send you a quick mobile link. All future orders can be made by texting us back “get” or “gift”. We keep your payment and address book in a secure online wallet to make bloom buying friction free. Need flowers? Send us a quick text and we’ll send out one of your bouquets! Or wait to see what’s shipping via the weekly moodboard. No order management or forgetting to skip 🙌. Need to gift, but can’t find your recipient's address? Our flower concierge can get in touch, collect shipping details and send delivery notifications. Why buy flowers for myself? Many of us spend most of our lives at, near or around our desks. It is in this space, that we anticipate we will find the inspiration to create, innovate and dream. We often add personal tokens or mementos to construct a more sacred space where we think and do. Flowers & plants offer unparalleled beauty, effortless simplicity and have been proven to increase focus, concentration and satisfaction. There are legitimate benefits of blooms, including making us feel grounded, sparking creativity, and offering natural aromatherapy. Keep reading for more reason to buy flowers as self-care (not that you needed any). And, remember we are champions of ourselves, of others, and of beauty. Bring life to yourself and your space. Where does the inspiration for Petalfox come from? "I have had the wonderful opportunity to work in international business for the past 15 years, where my travels have taken me all over the globe. During this time, I’ve fallen in love with different lifestyle trends and culture around the world. In many places, space is limited and petite floral statements are celebrated. My very first inspiration came during time spent picking up small arrangements in the bustling Tokyo train stations and while casually walking the streets of Paris." "Spending time in the tech industry has given me an appreciation of the wired jungle of start-up offices - full of dev boards & robot parts. However, I've often wished there was a way to infuse more organic material into my life and workspace. Cut flowers require little attention. There is brevity in both their fading beauty and necessity for care. There are few things in life that need nothing from us." What flower varieties will I receive? We choose flowers based on seasonality from our local farms in Southern California where we’ve built relationships directly with the growers. We create a seasonal color trend report which is reflected in our weekly moodboards. Checkout the color trend report and past floral recipes that have shipped via links in the footer 👇. There is wide spectrum of floral services including those provided by local flower shops, grocery stores and online delivery services. However, while most of the industry is focused on gifting and events, we believe that there is an opportunity to engage in the timeless act of botanical appreciation, every day. We cater to personal, everyday spaces. Petalfox arrangements are perfectly sized for your desk or at home in more intimate spaces like a entry, coffee or bedside table. If you’re a business owner, set these flowers among wares in your clothing boutique or coffee shop. Getting regular deliveries will ensure that you’ll have fresh flowers for your shop and social media content every week. Business partners, Kelly Nyland & Rhenee Bartlett, met during their time at Snapchat where they collected global recognition, including six CANNES LIONS awards, for the ideation and execution behind the Spectacles (Snapchat glasses) launch campaign. While Kelly has spent her career launching over 120+ tech toys and digital products, Rhenee has produced experiential campaigns for the world’s top brands. They share a passion for creating experiences, building brands and product development. Kelly & Rhenee have visited a combined total of 50+ countries during their international work over the past 15 years. From simple midwest beginnings, Kelly & Rhenee have called Atlanta, Boulder, Denver, Detroit, Nashville, Pewaukee, and now Southern California home. Kelly & Rhenee belong to UNITA, a creative community of artists and designers in Los Angeles. You can reach them via email: hello@petalfox.com. Visit Kelly on LinkedIN, or follow personal profiles on Instagram, Snapchat and Twitter. Visit Rhenee on LinkedIN, or follow personal profiles on Instagram, Snapchat and Facebook. Sign up. See what’s shipping. Then GET, GIFT or SKIP.